In our times this drama is interwoven with the life of the resident of the city. 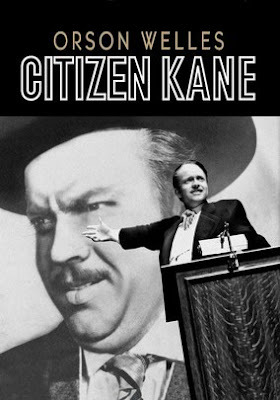 Anyone who lives in a modern city is, somehow, a "Citizen Kane", because they are forced to put their family in the background in relation to our professions. A "Citizen Kane" is also the woman who works outside the home and is forced to put her family in the back burner, for the sake of professional success. Kane creates a financial empire, but he does not give it greater importance than his memory of "rosebud", the small sleigh, which he played with when he lived with his parents. In a few words, Kane is a man who gained everything and lost everything. He is worthy of wonder, how such a man with such great abilities, could not look into his own soul, to see what made him suffer and to heal it. Perhaps his condition was precisely this "looking", his avoidance of looking into his soul. The last shot of the film shows the cataloging of a number of objects in their packages, in a huge empty tower where lies the corpse of Citizen Kane, and where black smoke rises behind railings reminiscent of a prison. Every person has in their soul a sacred space, a quality world, in which are placed persons who met their absolute needs, their father and mother. No one can remove them without incurably hurting their soul. This should be kept in the parents minds, that they should not place blame on each other when separating, causing incurable wounds to the souls of their children.